It seems like out of the Michael Jackson POP! that came out - this is the only one that wasn't created but I Have hard time believing that there wasn't a demand for this. What do you funatics think ? Is this something that you guys would like to see or are you content with your Michael Jackson set how it is? I think that there could be regular Thriller Michael Jackson with a Werewolf Michael Jackson chase and also a Glitter Michael Jackson Thriller FYE exclusive. Anyone else agree? Zombie Michael Jackson Exclusive needed too. I wonder why it was canceled - There was a whole line that came out but why would you cancel the one that everyone would be the most hyped about. I wonder if funko will ever step up and tell what happened.. ? or confirm if it may come one day. I’d love to see these made! I was looking at the pic and was telling myself it will be such a cool pop to have! Hopefully will get a second chance having this to be created! OMG he is in thee iconic pose!!! What happened to these!?!?!!?! - What !!!! Why didn't we get this. omg this is legendary. Can someone figure out what happened?! I don't know what happened but they would be really cool. Maybe it was a licensing issue with Thriller specifically? - I think that it would be a travesty not to have Thriller. It's actually one of my favorite songs from Michael if not my very favorite. I think that this is something that should definitely be put out! 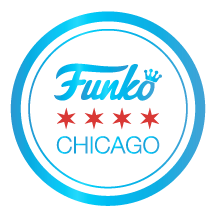 - Hopefully Funko seeing that us as funatics still have a tremendous amount of interest in this will resurrect the idea if they haven't been pursuing it already. 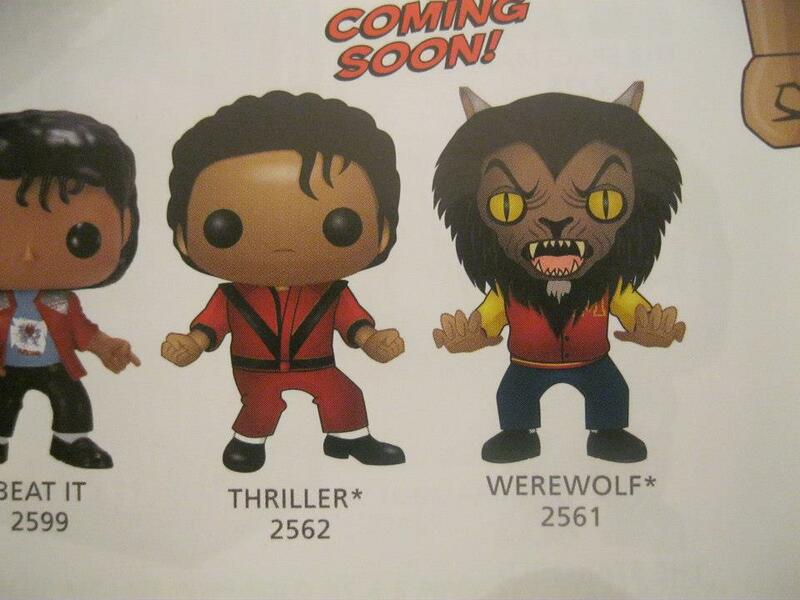 One idea that could entirely be possible is what if Thriller was going to be the Hot Topic Exclusive and the Werewolf was going to be the FYE Exclusive for this specific POP! rock - maybe at the time they didn't have the correct contracts in place to make the license happen. I realllllllllly want to own these in my collection though. It's a grail for Michael Jackson fans. Thanks for sharing the pictures I had never seen them before! I would hunt down the thriller pop like there is no tomorrow. Haha and this would also open up the door for a Fundays Thriller Freddy! <3! I've been wondering the same, I really would like to see there new take on it since it has been a while since they made the others. I would have to have them if they were ever made! I grew up loving MJ and Thriller was the video that I watched over and over - learned all the dance moves! It's a possibility that this will surface - I'm not sure about the state of POP! Rock and how they are choosing what properties move forward. It may be a licensing issue or it may be a confidence issue as far as how well the POP! 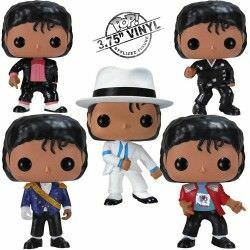 will do.. but I can't imagine anybody @ funko not thinking Thriller Michael Jackson would have a tremendous amount of potential. It almost makes me wonder if it was a demand issue. It seems almost as if they were saving the best for last and they never really got to pull it out. Even now this would be a great thing. Those look amazing and I now have Thriller stuck in my head! PopPChulo wrote: It seems like out of the Michael Jackson POP! that came out - this is the only one that wasn't created but I Have hard time believing that there wasn't a demand for this. What do you funatics think ? Is this something that you guys would like to see or are you content with your Michael Jackson set how it is? I think that there could be regular Thriller Michael Jackson with a Werewolf Michael Jackson chase and also a Glitter Michael Jackson Thriller FYE exclusive. Anyone else agree? I agree 100% and I hope that somehow funko will make it happen with these pops. I'd buy them all. They are amazing... I too would like to know if maybe we have a chance of this actually happening. Will love to see this three Pop come out and also a Billy Jean sparkle will be nice. I’d bet money the asterisks next to the names meant pending licensor approval...and they were not approved. I think enough time has gone by and Funko has grown so much since then, that maybe they could get his estate to approve these now. And please make Zombie Michael too, the set wouldn’t be complete without it! For some reason this seems as if it is oddly accurate - I also agree that Funko is much larger since then and it probably could possibly be approved now. 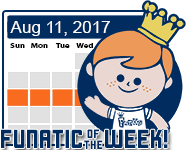 Maybe this will spark the mind of Funko to possibly reach out and make this a thing. Michael Jackson Thriller would be a great pop. Agree! Thriller needs to come out!!! Also dangerous Michael Jackson would be stupid awesome! Big MJ FAN SO ID LOVE FOR THAT ONE TO BE MADE! Funko PLEASE MAKE IT HAPPEN!! For the fans!!!! Stay On The Good Vibes!!! Current Goal: Make it to 500 Funko Pops! With Halloween around the corner I hope these get dropped by surprise! I really would need these in my collection! These are definitely a must have for me! I must really be out of the loop. I didn't realize that Michael Jackson had so many pops already. I think thats great. I would be tempted to get them all, but I think I am a little to late to this game. I had read some time ago that MJ was a little disturbed by the Thriller video once it was completed (feeling it was too upsetting and in conflict with his religious beliefs), so it would not surprise me that his licensing at the time would block the iconic “scary” Michael from the video. Leaders in Michael Jackson's religion were not so pleased, by contrast. In spite of his disclaimer at the beginning of the video, Jackson made a public "apology" in the pages of Awake!, a magazine published by the Watch Tower Bible and Tract Society of Pennsylvania. " 'I would never do it again!" says Jackson. "I just intended to do a good, fun short film, not to purposely bring to the screen something to scare people or to do anything bad. I want to do what’s right. I would never do anything like that again." Why not? "Because a lot of people were offended by it," explains Jackson. "That makes me feel bad. I don’t want them to feel that way. I realize now that it wasn’t a good idea. I’ll never do a video like that again!" He continues: "In fact, I have blocked further distribution of the film over which I have control, including its release in some other countries. There’s all kinds of promotional stuff being proposed on Thriller. But I tell them, ‘No, no, no. I don’t want to do anything on Thriller. No more Thriller.’ "
These are great, really hope to see them one day. I'd love to see a 10" Moonwalker Michael Jackson Robot version! I would love to have the Thriller & Werewolf versions finally come out. It's definitely a favorite song of mine and it would look amazing in my set. Last edited by Lonikins on Mon Aug 27, 2018 3:28 pm, edited 1 time in total. Yeah, but the thing is Michael Jackson loved his fans - adored his fans even. That was one artist that definitely had passion for his fan base - with that being said - I strongly believe that he would definitely be 100 percent for the fact that his fans want a iconic thriller version of him.